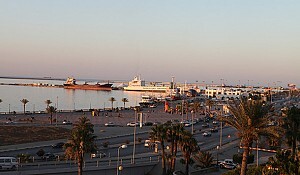 TRIPOLI - Eng. G.I. Guider, the head of Libya's Privatization and Investment Board (PIB) aptly points out that the country is starting from a zero point in establishing business privatization and encouraging private investment capital. This can be viewed in several ways - that under the old regime there was little opportunity for the private sector or the entry of foreign businesses and also that post-rebellion, government and policy makers are starting with a clean slate as they work to rapidly change the economy of a long-time dysfunctional country. Guider noted for Marcopolis the nascent state of the investment board, but added that the policy changes for allowing - indeed inviting FDI - has been considerable. "We are able to offer lots of benefits to investors such as: no taxes for five years, no stamp duty, (and) no export or import tax, international insurance, all foreign investors can open a bank account in any of the three banks in Libya; (and) they can transfer their profits through our board." The investment board head recounted that during the Gaddafi regime the country "was working without an investment master plan, there was no master plan for the whole country." "Even in terms of investment we couldn't say that there were real opportunities, you couldn't find the land, there were barely opportunities in tourism, industry, oil etc." 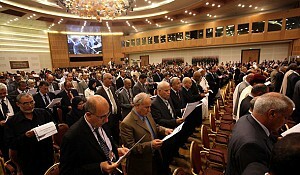 However he added: "Now we are starting to make improvements in all the ministries and all the local authorities. We are starting to bring together all the data here at the Privatization and Investment Board and into our master plan, in order to provide all this data to potential foreign investors who need to have all the information necessary to decide if they will invest in Libya or not." The most recent investor law - known as law No. 9 - was issued in 2010, the year before the rebellion - but Guider explained, "We have changed some parts of the law to improve it. We are able to offer lots of benefits to investors such as: no taxes for five years, no stamp duty, (and) no export or import tax, international insurance, all foreign investors can open a bank account in any of the three banks in Libya; (and) they can transfer their profits through our board." According to Private Investment Board investment guide, areas permitted for investment under Law No.9 include: transportation sector, health sector, education sector, agricultural sector, industrial sector, tourism sector, public facilities, maritime industry. The investment law does not apply to projects related to oil and gas production and exploration. Guider noted that the investment board has established charge-free "one-stop-shops," so to speak, in the key cities of Tripoli, Misrata and Benghazi, to help facilitate the entry of foreign business into Libya. "These one stop shops were set up in January 2013. They offer many services, such as immigration services all from one place. We are looking to finish our draft investment law by the end of this year, and we are looking to establish more of these one stop shops in cities all over Libya, we also hope to complete our investment master plan by the end of the year," Guider said. Guider expectations on inward investment are optimistic, noting the number of negotiations and deals taking place. "There are a lot of negotiations from Turkish investors and from the Arab Gulf countries and also from some countries in Europe such as Italy and the UK. 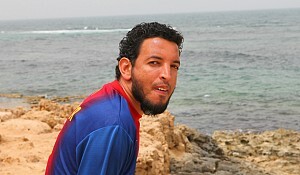 There are Turkish investors already here in Tripoli doing business and another Turkish investor in Benghazi," he said. "After the revolution we have to make sure we are stable and safe, I think everything is going well and that by the end of this year safety will have improved a lot in comparison to during Gaddafi's time." 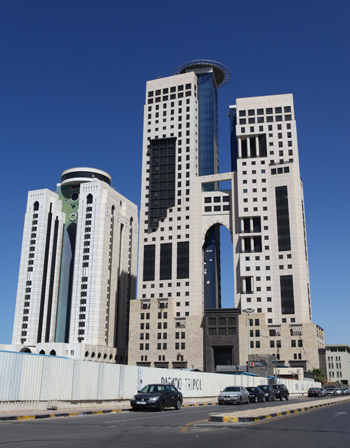 According to the Libyan Privatization and Investment Board, FDI from 2002 until 2010 was near to $6 billion. "I think a lot of investors couldn't trust the government in this country before. In my opinion this is the main thing that has changed. This government and the next will be democratic; it will not be like Gaddafi's government. This situation will encourage people to invest in Libya; this is my opinion." According to the head of the Libyan National Oil Corporation, Nuri A. Berruien, the new government is working out the amount of investment needed to improve gas and oil production and downstream processing of petrochemical, though the exact amount slated is still being considered. "I would expect that there will be an additional three big refineries added to the existing refineries. That's what we have right now on the drawing board." Berruien added: "I really can't give you a figure right now but it will be tens of billions for the new investment. When you talk about refineries for example, depending on size they go from three billion to five billion dollars. When we get into EOR, such as CO2 injection, this requires a lot of investment, in the billion figures. Within the next five years, as a guesstimate, it will be between $30 and $40 billion required for investments." The Private Investment Board projects that a new draft privatization law will be finished by early summer for review by the Prime Minister and approval by the Libyan legislature. "There are many SMEs in various sectors in Libya and it is very important to focus on improving them. In my opinion renewable energy, transportation and the petrochemical sectors offer excellent opportunities right now," Guider said. "The tourism sector has potential but I believe that if we start with investment in the petrochemical industry, transport and renewable energy that would be best." In an economic vote of confidence, Emirates Airline will restart passenger service to Tripoli in September of this year "illustrating Libya's importance in Emirates' global network and the airline's commitment to the country," the air carrier said in a release. 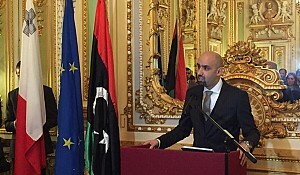 According to Jean Luc Grillet, senior vice president, Emirates Commercial Operations for Africa, "We have been closely monitoring the situation in Libya and feel that the time is right to re-launch our services, which will help to support business, international trade and passenger travel to and from Tripoli, as well as strengthening the country's overall infrastructure." 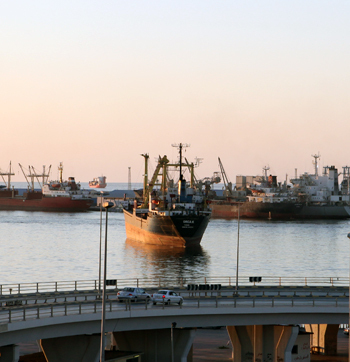 The company added in its release: "Supporting the thriving trade between Tripoli and the rest of the world, Emirates has introduced a dedicated cargo service into Tripoli in May 2012. Emirates' cargo division transports a variety of goods into Tripoli ranging from electronic goods from the Far East to drilling equipment from the US." "Today's announcement is a significant step by Qatar Airways as we show our continued confidence in North Africa. This means more capacity and improved travel times to and from Tripoli and Casablanca to destinations across our network." Mohamed Alhanghri, a member of the Libyan Businessmen Council told Marcopolis: "We are aiming to return Libya to its previous status as a trading and transit zone to and from Europe, after this role was neglected for the past 48 years. We also aim to have several trading and exchanging sea ports between Libya, Europe and America, the traditional trading partners." "We have a very active tourism sector as we enjoy tourism capabilities which other counties doesn't have. We have the oldest cities and sites along with very attractive natural areas in the south. Even the sands of deserts in our country hold a special meaning for the Europeans when it comes to travels or rallies. We also have attractive natural areas like Gaberoun and AlNamoos. And let us not forget the old historical Roman, Greek and Phoenician ruins in Libya which can be used to organize public activities," Alhangri added. He also noted, "As for the industrial sector, we are preparing the plans for over 60 new industrial areas in all of Libya, and that will be an attractive factor to foreign investment. We also aim to have new and free trading zones for commercial exchange. 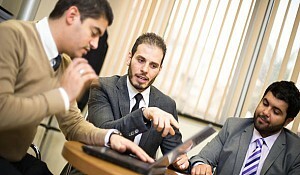 Even the services sector is active in Libya and that also attracts foreign investments." 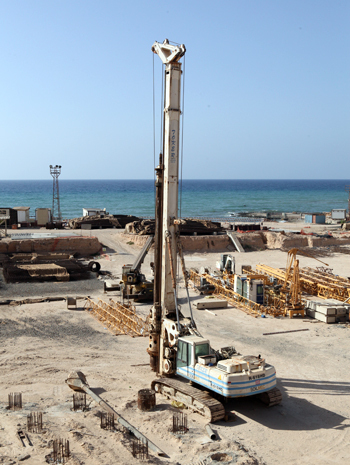 In late May (19-23), Libya hosted the ninth edition of its annual Building and Construction exhibition "Build Libya" directly outside of Tripoli. This year's exhibition focused on the country's efforts to boost local and foreign investments and launch infrastructural improvements Majed Mahfoud, executive manager of the organizing company Atex, told the Libya Herald that because of an overflow of attending companies, the event was held in a larger space outside the capital that was constructed after the liberation, which accommodated 715 companies from 27 countries. The ongoing changes at the ministries and proposals for the draft investment law will be needed if FDI and foreign business are to find Libya an attractive place in which to invest and build. 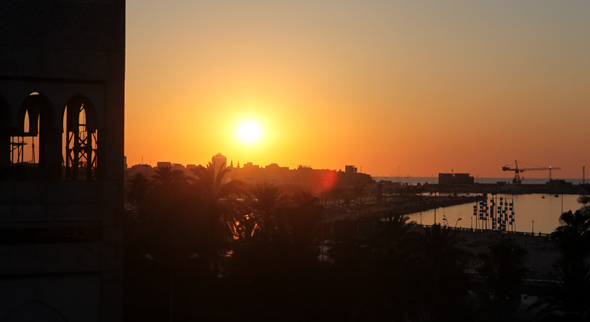 Financial Times reported last year that some prospective investors were finding the Libyan bureaucracy too cumbersome and slow on assisting foreign businesses. 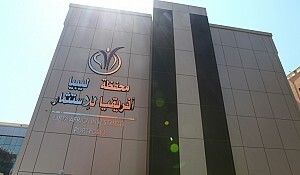 "Libyan business as well as government have no experience in accountable procedures, transparency and auditing mechanisms which all go to basically reassure the investors that markets are stable and secure," Maryann Maguire, director of InterCultures, a London-based consultancy that has operated in Libya since for several years, told the FI and continued: "Libya has never had a foreign business protocol. At the moment, government ministries are setting up procurement and registration processes." Libya needs to adopt a large scale privatization for the FDI to seriously consider entering the country. And the government needs to definitely resolve the security issue - no easy task -- and has to adopt administrative and structural reforms, cut the red tape and open up across the various sectors for the foreign investment. "The authorities need to articulate and then implement a strategic vision for economic development which includes steps to set up a governance framework linked to transparency and accountability, including anti-corruption elements. Sustainable growth requires a business environment that is conducive to private sector development."